Principal Cast : Jeremy Sumpter, Rachel Hurd-Wood, Jason Isaacs, Lynn Redgrave, Richard Briers, Olivia Williams, Harry Newell, Freddie Popplewell, Ludivine Sagnier, Saffron Burrows, Carsen Gray. Synopsis: The Darling children are whisked to Neverland by the rapacious and eternally youthful Peter Pan, to battle cruel pirate Captain Hook. What we think : Magnificent interpretation of the classic children’s story, Peter Pan’s 2003 adaption is wonderfully cinematic and cleverly produced. Featuring a stellar cast and stunning production value, this film is equal to the challenge of superassing Disney’s classic animated version. Filmed in Australia and New Zealand, this version of J M Barrie’s classic tale is a film full of wonderment, evil and a whole load of fun. Unlike the previous live-action attempt, Spielberg’s laboriously tiresome Hook, Peter Pan revitalizes the story for a modern audience with some state of the art effect, wonderful child actors, and a lovingly crafted screenplay. Most people alive today will be familiar with the story of Wendy and her brothers, whisked away to Neverland by the immortally youthful titular character, Peter Pan. There, they meet up with the Lost Boys, a group of young lads locked in a desperately silly battle with the evil Captain Hook, a pirate who, like Ahab obsessed with the white whale, is hell-bent on killing his arch enemy Pan. After all, Pan is responsible for Hook losing one hand to the jaws of a monstrous crocodile, so it’s easy to imagine the vengeful wrath with which Hook approaches life. 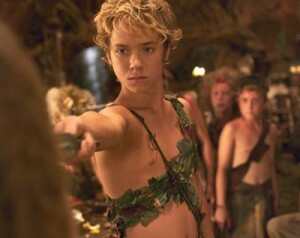 Directed by Australian P J Hogan (no, not Paul Hogan of Crocodile Dundee fame) and staring Jeremy Sumpter as the eponymous Pan, the film flickers between the entertaining and sublime with its witty, wonderful script and layered performances from the entire cast. Indeed, Sumpter is both annoyingly ambiguous and refreshingly cheeky in his portrayal of Pan, as he engages in a kind of pre-pubescent love affair of sorts with Wendy (Rachel Hurd-Wood). Sometimes Pan is portrayed as an impetuous braggart, and then in another moment a sombre and dedicated heroic figure; the crossover between both elements is perhaps the single reason this film stumbles before achieving greatness. Hurd-Wood is stunning as the wide-eyed Wendy, her toothy smile lighting up the screen and enchanting the viewer whenever she appears. Her naturalistic performance holds the film together between the dramatic human moments and the comedic fantastical adventurous parts. 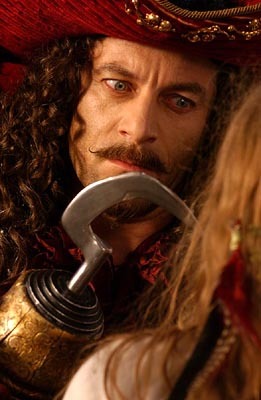 Jason Isaacs is the superbly arch-villain Hook, and unlike the previously camp portrayal by Dustin Hoffman in Spielberg’s version, Isaacs is both truly malevolent and hauntingly emotional; his ability to inspire fear in both the characters on screen and us as viewers is what sets him apart. Indeed, his portrayal of Hook is perhaps the best version yet seen; shades of his sinister military captain in The Patriot shine through on the odd occasion, and it matches the character effortlessly. The effects, for this is nothing if not an effect driven film, are superb, with the use of green-screen technology seamlessly putting our heroes and villains in some amazing places: clouds above Neverland, the sky above London.. all well defined and magically achieved. Finally, a version of Neverland that matches what a child’s imagination has often dreamed of! 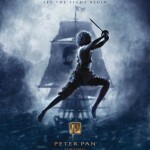 While this film has the unenviable task of throwing off the shackles of the Spielberg monstrosity and trying to reinvent the story for a modern audience, Peter Pan remains as singular and definitive a version as we could reasonably expect. 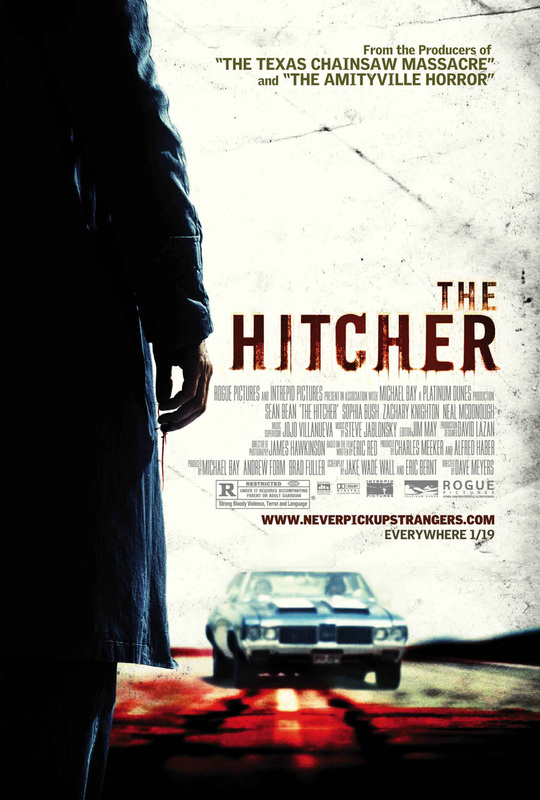 The cast are uniformly excellent, the production values unexpectedly high (considering what is achieved with the budget) and the direction and tone of the film make this a thoroughly enjoyable cinematic outing for everybody’s favorite boy who never grew up.